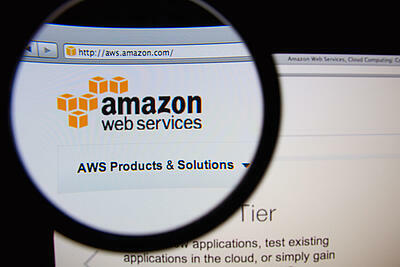 Why Is Amazon Web Services Leading the Cloud Race? A recent article from Datamation reported on new analysis from the Synergy Research Group. The report shows that Amazon currently owns over a third of the cloud infrastructure services market space at 31%. In the fourth quarter of 2015, AWS was in first place among cloud services providers. So how has Amazon been able to beat out its competition to be the leading provider of cloud infrastructure services in the world? Aren’t all cloud computing platforms the same? Here are a few of the reasons as to why AWS is a leader among cloud infrastructure service providers. Amazon launched Amazon Web Services in 2006 at a time when “the cloud” was barely a buzzword. The cloud began to pick up momentum a few years later and many major cloud computing providers entered the marketplace between 2008 and 2010. Having had the longevity that AWS has, Amazon has been able to test, refine, and refocus its cloud platform so that it continuously meets the needs of its subscribers and is able to overcome challenges facing companies in the 21st century. From computational ability, cloud storage, database management, and even web and media hosting, AWS has an array of service offerings based on its years of development and refinement , to assist businesses of all sizes with their IT needs. Adobe, Comcast, and Netflix all use AWS for some aspect of their business offerings. If media and technology giants like these guys are utilizing AWS, then you know that the Amazon Web Services platform means business! From Virtual Private Cloud services to automated infrastructure management these media and technology juggernauts use AWS to provide their award winning product and services to their customers. If the big guys can use AWS, so can businesses of any size. We know what you’re thinking “I don’t have the budget that those guys do!” With AWS, you only pay for what you need so you can scale your IT infrastructure in the cloud based on budget, demand, or both. One of the biggest advantages of AWS is that the company allows you to try their service for FREE, for an entire year! Amazon offers a selection of their AWS services to subscribers free for 12-months. While there are limits to what can be utilized during the free trial (such as 750 hours per month of Amazon EC2 cloud computing ability or 5GB of Amazon S3 storage), users can test out the cloud for free and spend a full year working out how to best utilize some of the most popular AWS services. This is all done free of charge and allows businesses to plan and test a cloud migration (either partial or full) without having to sign a major service contract or spend precious IT dollars testing and evaluating a platform.